The first of the par 5’s on the course, the hole takes the player away from the Clubhouse. The fairway runs into a valley where 2 bunkers await the longer hitter. The bunkers that protect the green mean that only by hitting 2 excellent shots is it possible to be putting for an "eagle". 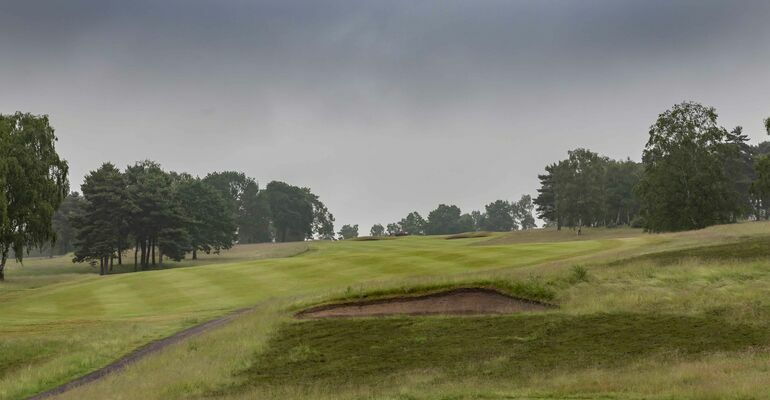 The ridge at the front of the putting surface catches the under hit approach and can leave the player with a difficult putt down a long undulating green.